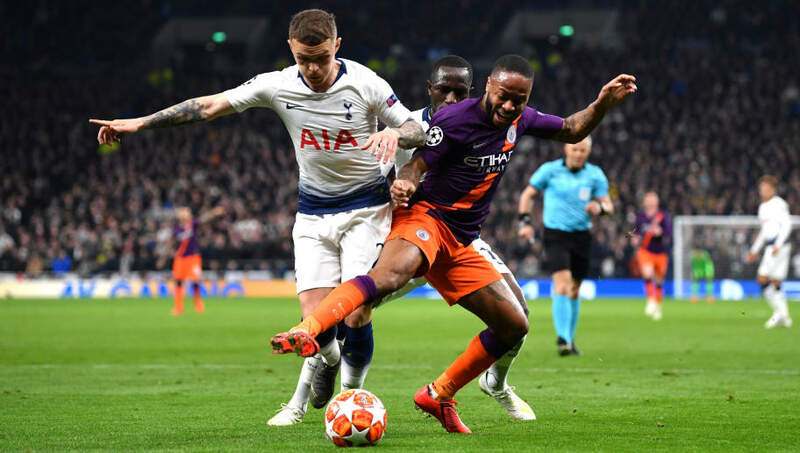 ​Tottenham Hotspur visit the Etihad Stadium for the second leg of their Champions League quarter final with Manchester City looking to defend their slender 1-0 aggregate lead. Son Heung-min's second half goal was enough to give Spurs the victory in the first leg, meaning City will need to be on top form to progress against their Premier League rivals. With no away goal for the Manchester club in the first leg, Spurs will know that scoring at the Etihad could prove decisive in this fixture. However, they will be without star man Harry Kane for the second half of this tie, as the striker went off injured in the first leg and is feared to be out for the rest of the season. City meanwhile, will be desperate to put the ghosts of previous European disappointments behind them and establish themselves on the big stage as they look to progress to the semi-final. ​The Citizens are waiting to check on the fitness of Fabian Delph and Fernandinho. The pair started the first leg at the Tottenham Hotspur Stadium, but missed the weekend's clash against Crystal Palace. Pep Guardiola surprised fans when he started with ​Riyad Mahrez in the away leg - favouring the Algerian over Leroy Sane. However, the German winger impressed in Sunday victory at Selhurst Park and even chipped in with an assist for ​Raheem Sterling, which may earn the 23-year-old a starting spot on Wednesday. For Spurs, they will of course be without ​Kane. Most will have expected ​Son to move into a more central role and lead the line as a lone striker, but Lucas Moura's hat-trick against the Terriers may force Mauricio Pochettino to rethink his options. Dele Alli and Harry Winks are facing late fitness tests, though both are expected to be available. ​Manchester City Ederson; Walker, Stones, Laporte, Delph; Fernandinho, Silva, Bernardo; Sterling, Sane, Aguero​. ​Tottenham Hotspur ​Lloris; Trippier, Alderweireld, Vertonghen, Rose; Sissoko, Winks, Eriksen; Alli, Son, Moura. The opening leg of this tie was the first of a quick-fire triple header between Man City and Tottenham, with the two teams meeting once more in the ​Premier League on Saturday. The first leg victory was the London side's only win in the last five meetings between the two clubs, with City winning the previous three. The last time these two met at the Etihad was in December 2017, where City ran out emphatic 4-1 winners - the same scoreline on Wednesday night would be enough to see Guardiola's side progress to the semis. In the entire history of this fixture these clubs are perfectly matched​, each winning 61 with 35 games ending in draws. ​First leg defeat to Spurs has been the only blip in City's recent form, as their 15 other games since defeat away to Newcastle have ended in victory. This run included a ridiculous 7-0 defeat of ​Schalke in their last ​Champions League home game. It's safe to say that City fans would take a repeat of that result against Tottenham. Following a torrid run of league form, which saw ​Spurs go five games without a win, Pochettino's men have won their last three fixtures without conceding a goal. Their previous two away games in Europe resulted in a 1-0 win and 1-1 draw away to Borussia Dortmund and Barcelona respectively. Either of these scorelines on Wednesday will be enough to see them through. Despite trailing by a goal, ​Man City will not be going into this second leg with all guns blazing, as Guardiola will be aware of how lethal a Spurs away goal would be. The Citizens will be looking for a patient first half performance, looking to pick holes in the Tottenham defence before applying more pressure as the game goes on. Spurs on the other hand will know that one goal could kill the game, but will be cautious not to leave themselves open at the back. However, if Pochettino's approaches the game too conservatively, this could allow City to take control of the tie, so finding the right balance will be key for Tottenham's chances of success. Expect this to be a very tight, tense affair with neither side wanting to commit too much too soon. With Tottenham struggling away from home of late, City may just have too much for them on Wednesday night.